What does "anti-estrogen" mean? How are anti-estrogens like Cytadren , Clomid, and Nolvadex different from each other? 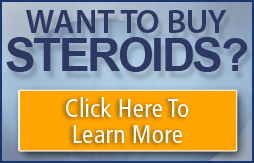 Is Proviron an anabolic steroid , or not? Competitive aromatase inhibitors, such as Cytadren, Arimidex , and probably Proviron, bind to the same binding site on the aromatase enzyme that testosterone does. By doing this, they allow less testosterone to bind to aromatase. So, less testosterone is converted to estradiol (estrogen). The other general approach is estrogen receptor antagonism. If a molecule binds strongly to a hormone receptor, but does not activate that receptor and makes it unresponsive to the normal hormone, then it is a receptor antagonist. Clomid (clomiphene) and Nolvadex (tamoxifen ) follow this approach. These drugs are very similar structurally. They are both what are called triphenylethylenes, and are not steroids . The differences are relatively minor, but seem to affect an important characteristic of these compounds: drug metabolism. With nandrolone , an aromatase inhibitor will be of no use, because aromatase is not used in the aromatization of nandrolone. A rather small amount of estrogen receptor antagonist can be useful. 12.5 to 25 mg Clomid would be plenty for 400 mg/week Deca .